On this day, in 1996, legendary yesteryear heroine Sridevi tied the knot with Bollywood producer Boney Kapoor. 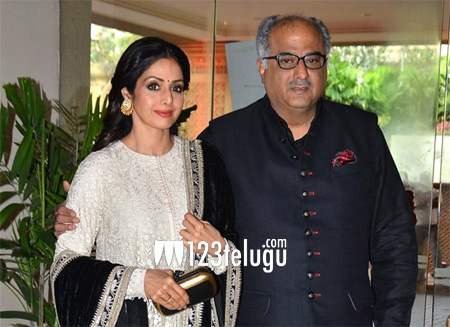 On their 22nd marriage anniversary, an emotional Boney, via Sridevi’s Twitter handle, released a video of Sridevi’s final celebrations at a family wedding in Dubai just a few days before her shocking demise on February 24. “Today would have been our 22nd wedding anniversary. Jaan… My wife, my soulmate, the epitome of love, grace, warmth and laughter lives within me forever,” tweeted Boney. The video shows Sridevi, her two daughters and Boney, dancing and celebrating the happy moments.